Silvertrac had basic content on their website however, they were missing key elements to an effective inbound marketing strategy and optimization of their content. While Silvertrac had determined their Buyer Personas, they had not clearly defined their Buyer’s Journey and were not mapping their content to reach their goals. The website was lacking continuity, clear pathways for leads to travel through and follow-up lead nurturing. The conversion process from lead to client lacked fluidity and needed to be streamlined and built out. The growth strategy for Silvertrac included content organization, creation and implementation based on Silvertrac’s Buyer Personas and Buyers Journey. Inturact worked with Silvertrac’s marketing department to streamline their internal efforts with the agency efforts. Lead nurturing sequences and workflows were created in the first quarter and implemented to more effectively use already existing content and integrate in new content offers, blogs, podcasts and landing pages. 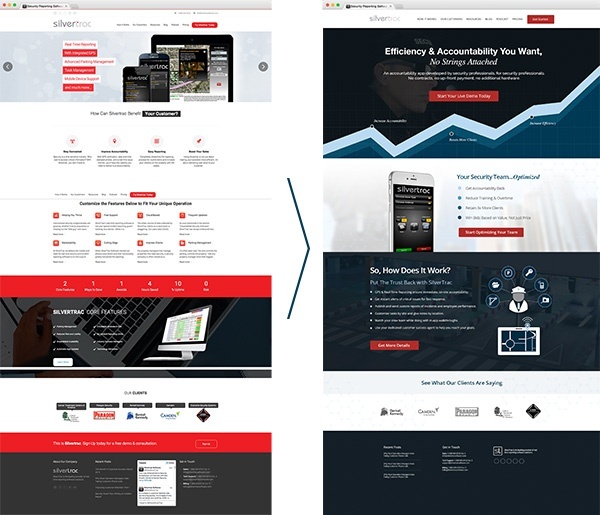 We started by implementing a new website design and creating a content strategy. In the content strategy we focused on organizing the process, optimizing old content, mapping content to the Buyer’s Journey and strategically planning new content creation. “In a market full of headaches and bottom feeders Inturact was a breath of fresh air. We wasted so much time and money on low-cost solutions that caused way more problems than they solved. I am so glad that we had Inturact revamp our website! Everything from design, copy, messaging, branding, etc. was well done and we couldn't be happier with the end result. The price was worth every penny and we will continue to receive an ROI for years to come.